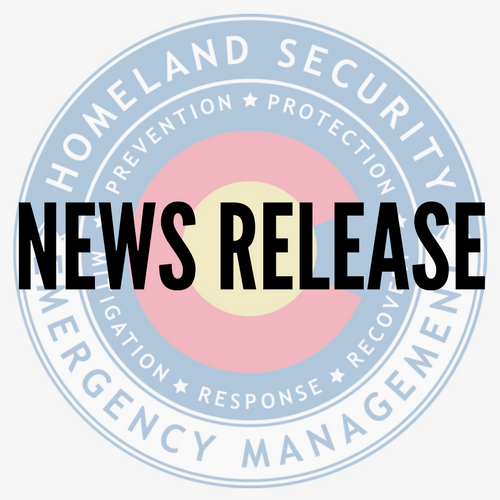 Centennial, Colo. – April 17, 2017 —The Colorado Division of Homeland Security and Emergency Management’s READYColorado program partners with the Colorado National Weather Service (NWS) Forecast Offices to prepare individuals for hazardous weather year-round. 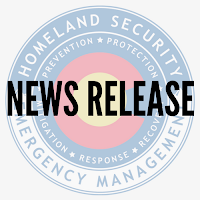 Colorado DHSEM supports the National Seasonal Safety Campaign’s goal of building a Weather-Ready Nation, one that is prepared for extreme weather, water, and climate events. This week the READYColorado program focuses on thunderstorms, tornadoes and flooding preparedness. Severe thunderstorms can produce damaging hail. Hail is a form of precipitation that occurs when updrafts in thunderstorms carry raindrops upward into extremely cold areas of the atmosphere where they freeze into ice. Hail can cause billions of dollars of damage to structures, crops and livestock. If hail is coming, find shelter, stay indoors, and stay away from windows. The National Severe Storms Laboratory states that flooding occurs in every U.S. state and territory, and is a threat experienced anywhere in the world that receives rain. In the U.S. floods kill more people each year than tornadoes, hurricanes or lightning. Turn Around, Don't Drown. Avoid flooded areas with rapid flowing water. Do not attempt to cross a flowing stream. It takes only six inches of fast flowing water to sweep you off your feet. Get to higher ground. Stay away from high water-prone areas including dips, low spots, valleys, ditches, washes, etc. Don't allow children to play near high water, storm drains or ditches. Hidden dangers could lie beneath the water. Want more tips and ideas? Head over to our website at www.READYColorado.com and read the full blog post, or follow us all week on our social media accounts for new posts on severe weather awareness each day.